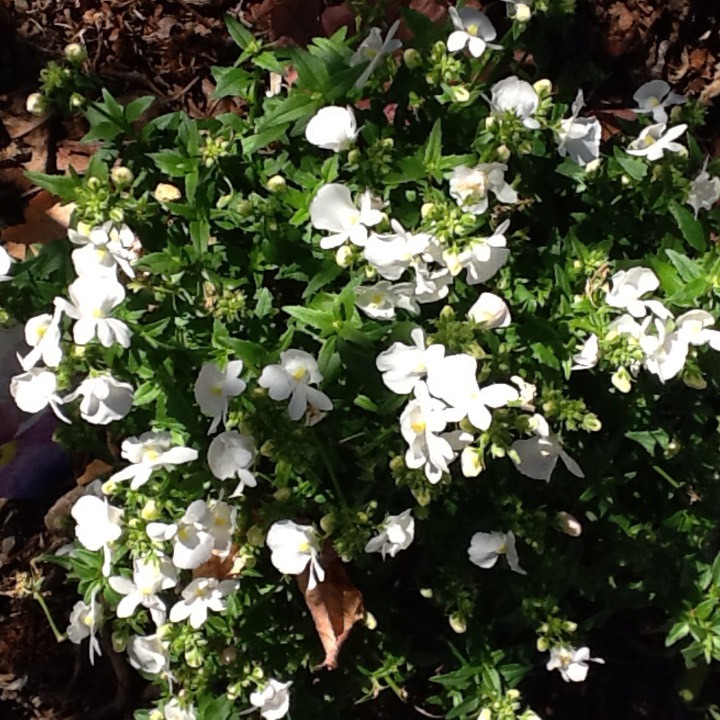 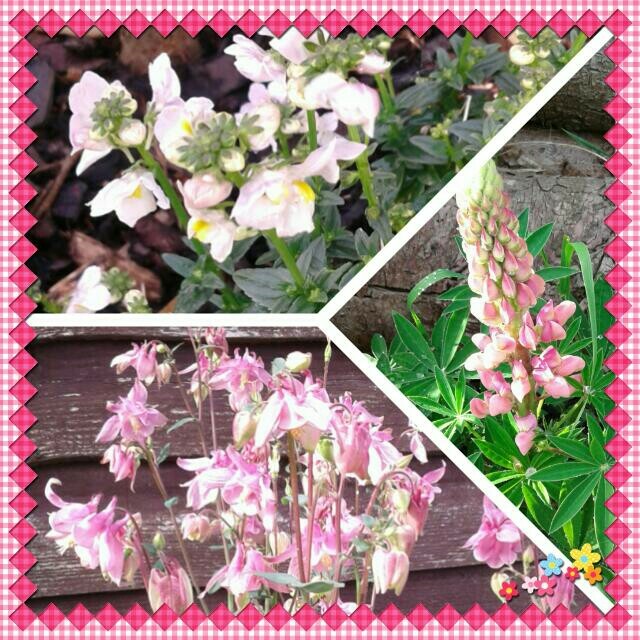 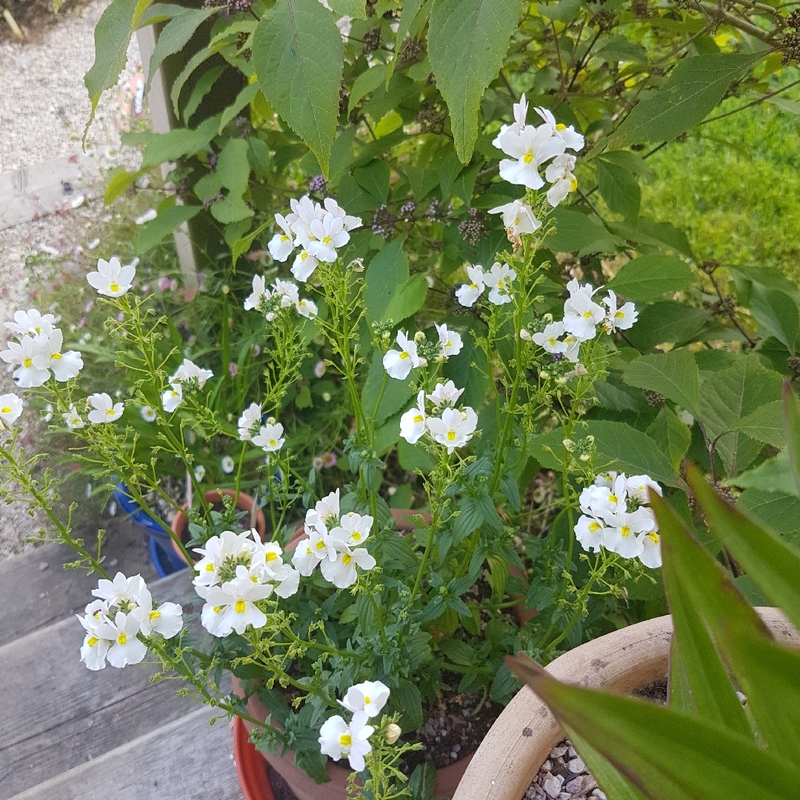 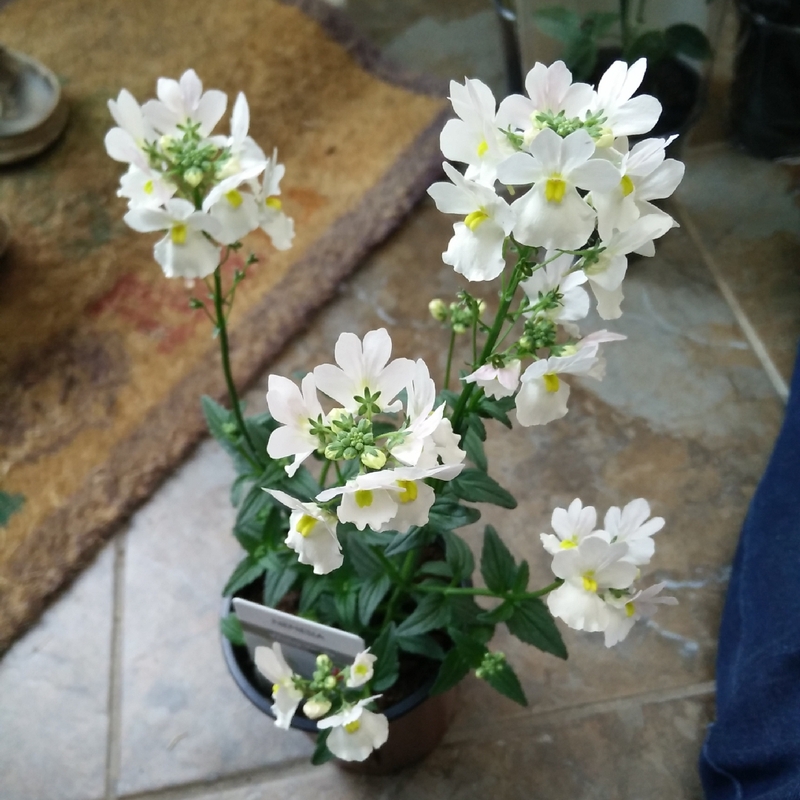 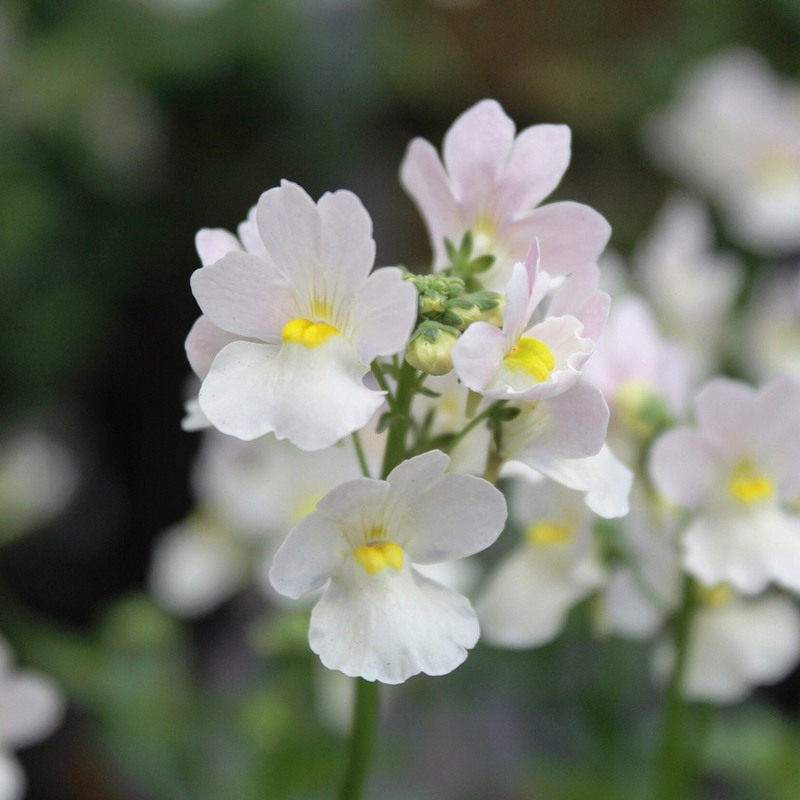 Nemesia is a very compact and well-branched plant which flowers very early and continues throughout Summer and into Autumn. 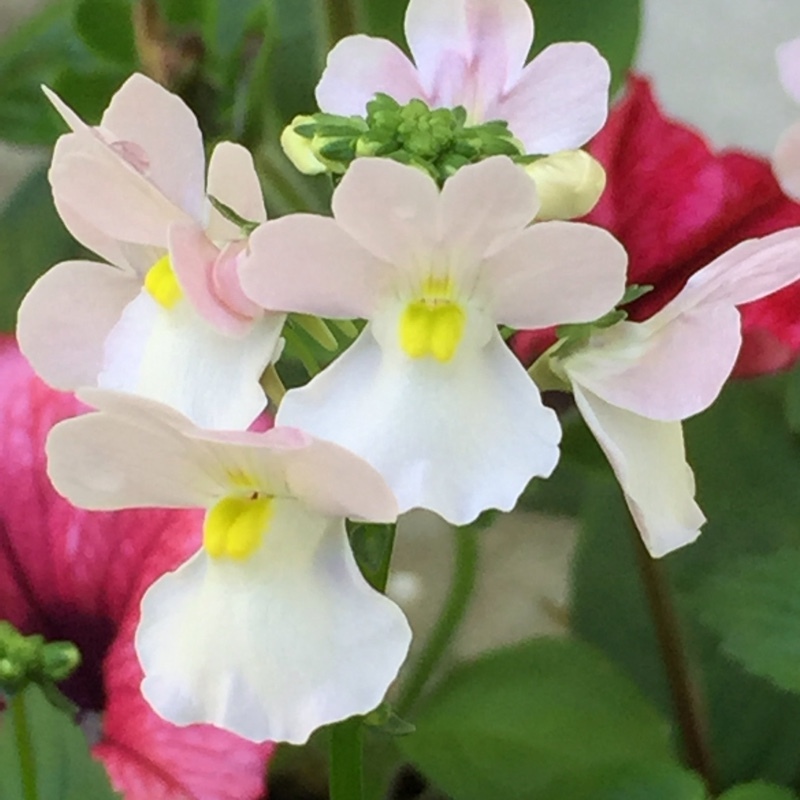 The two-lipped flowers are often bi-coloured. 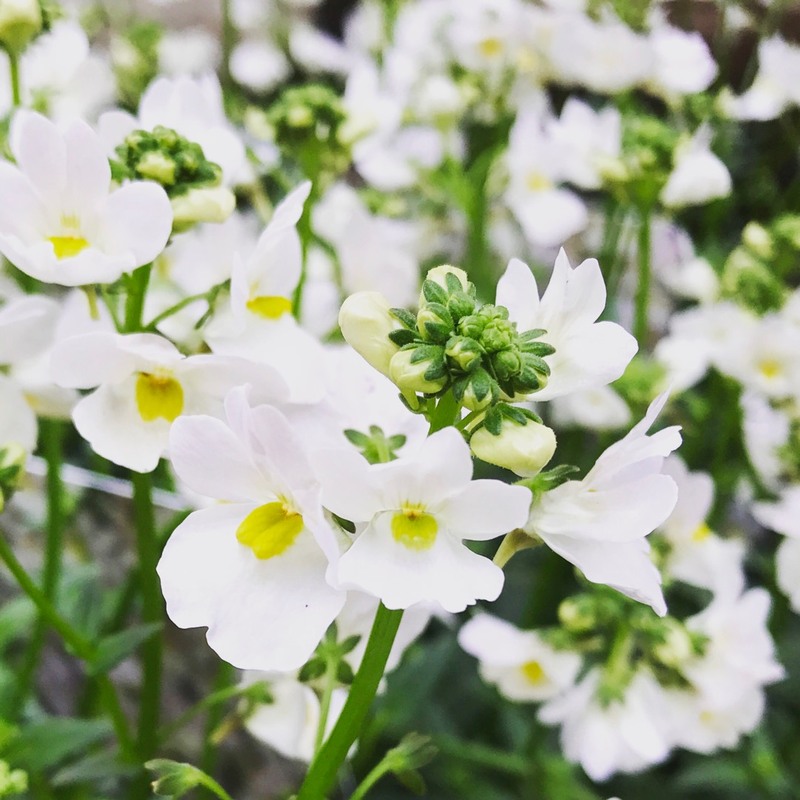 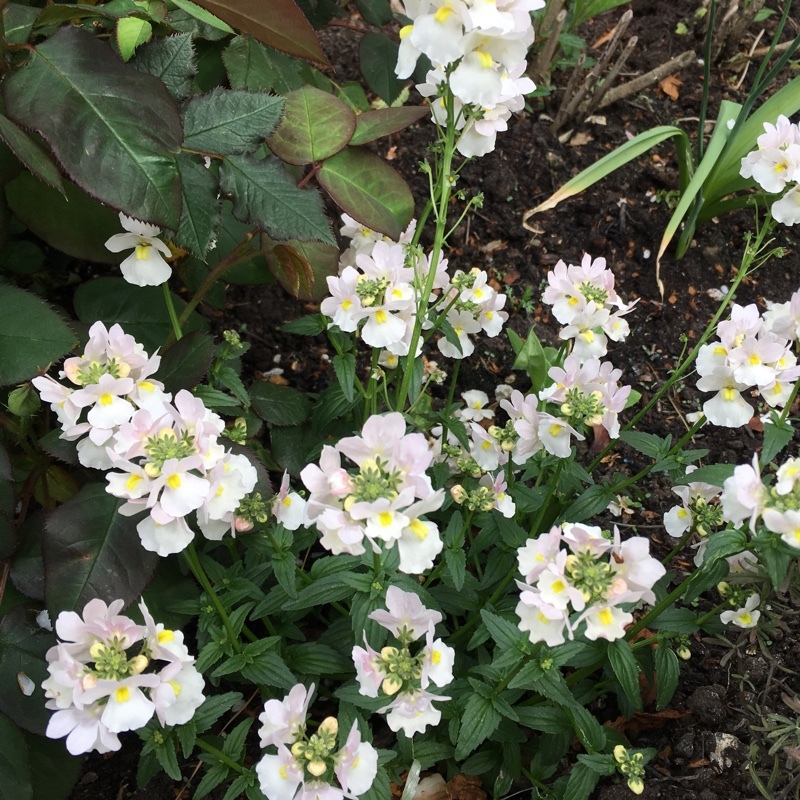 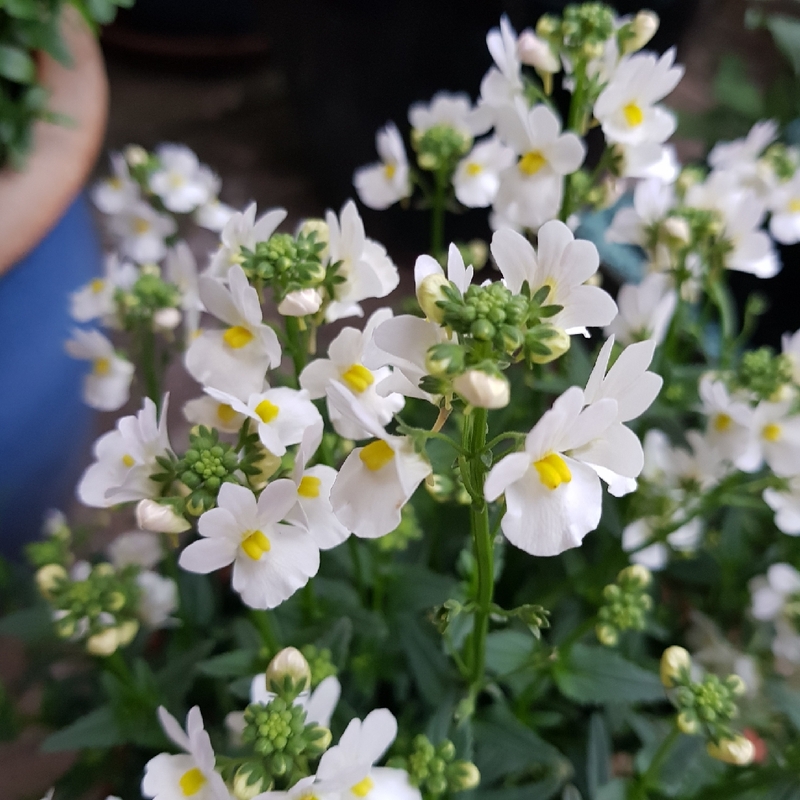 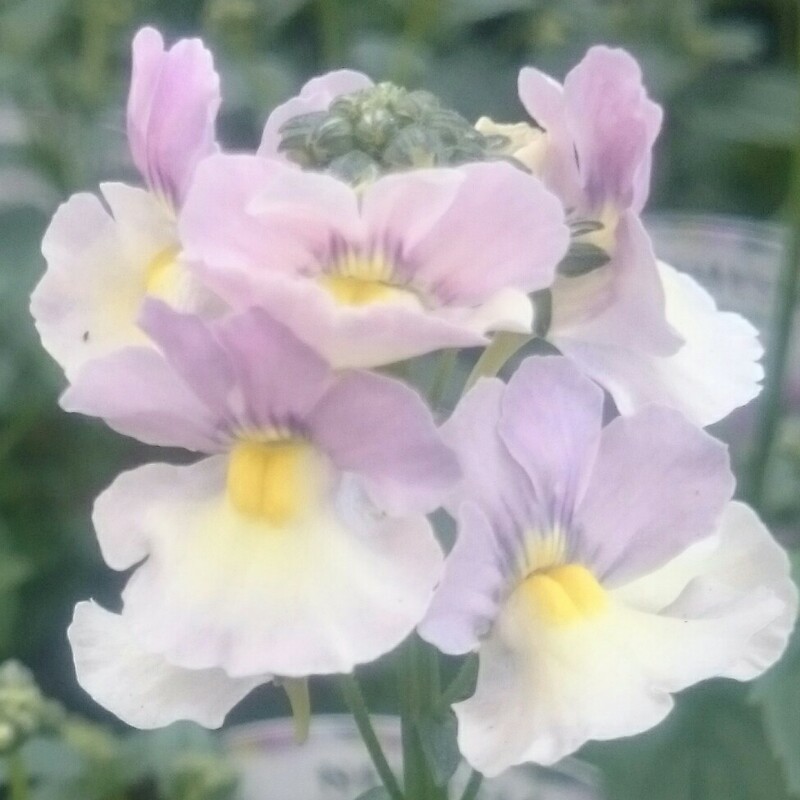 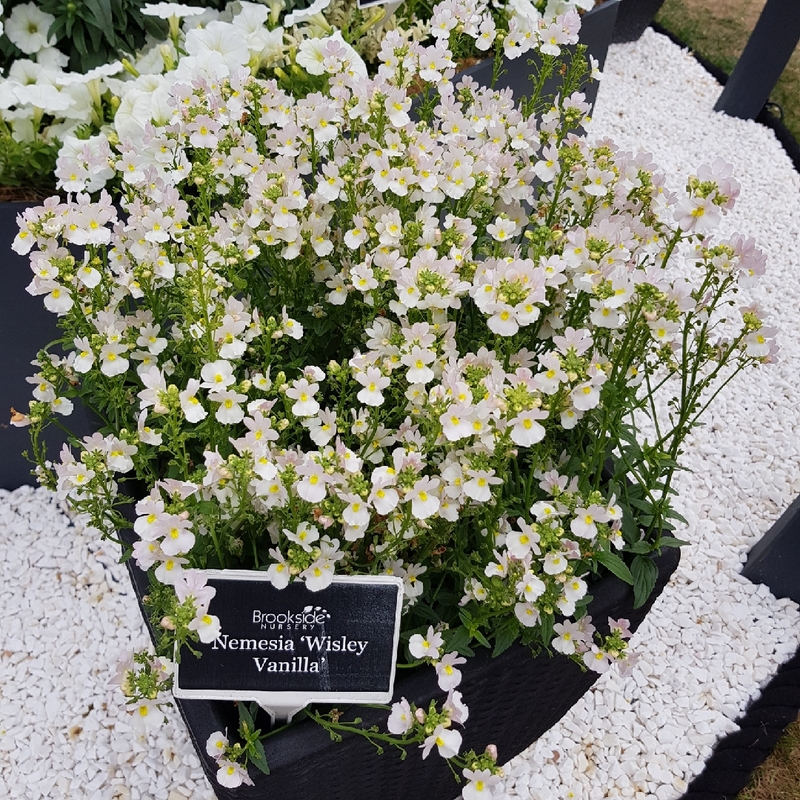 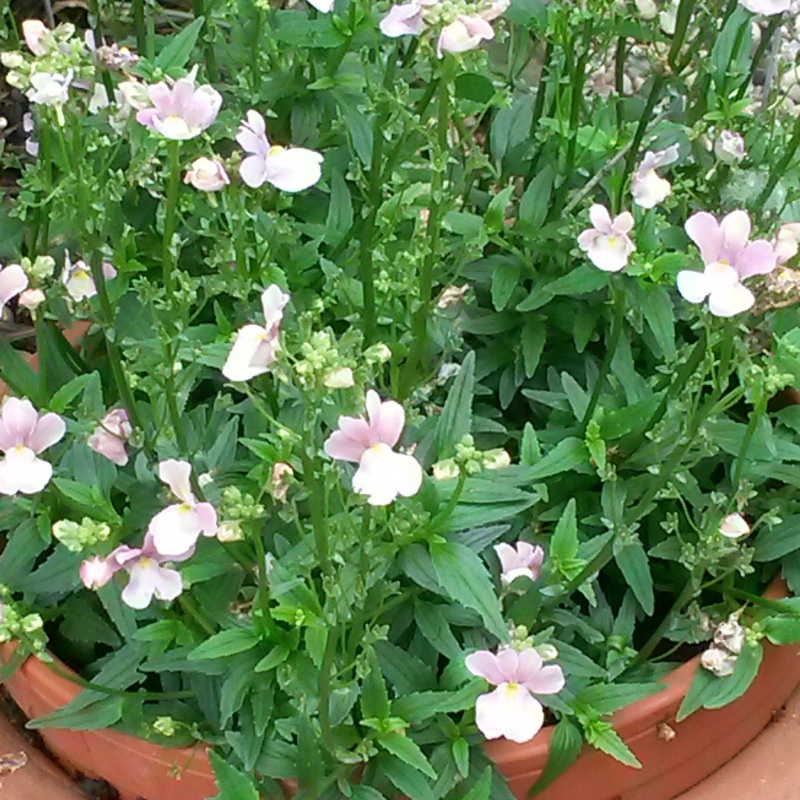 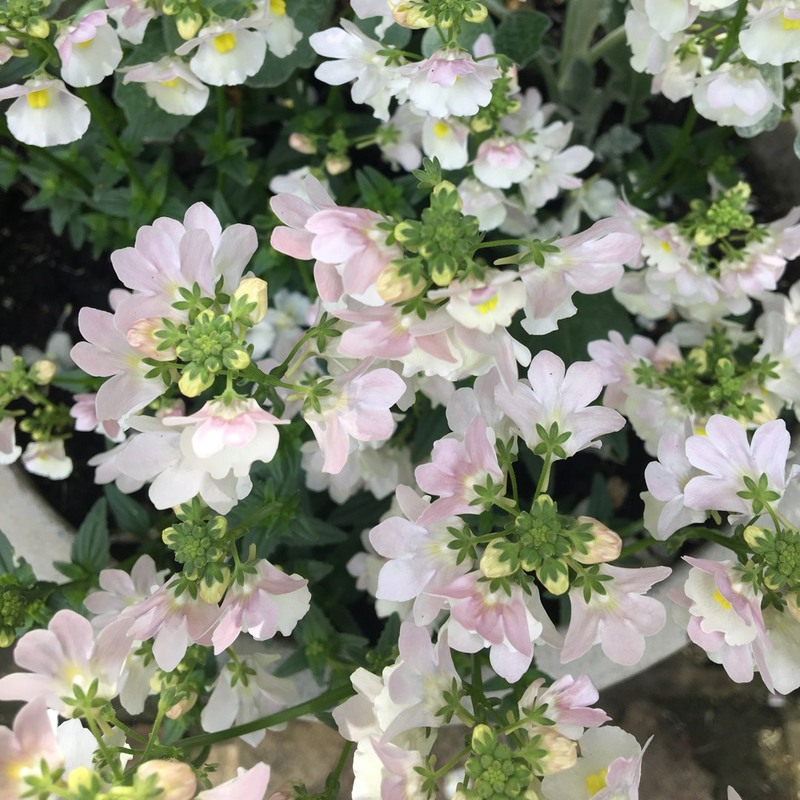 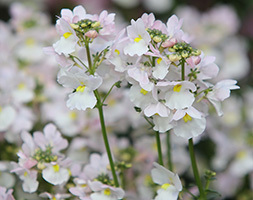 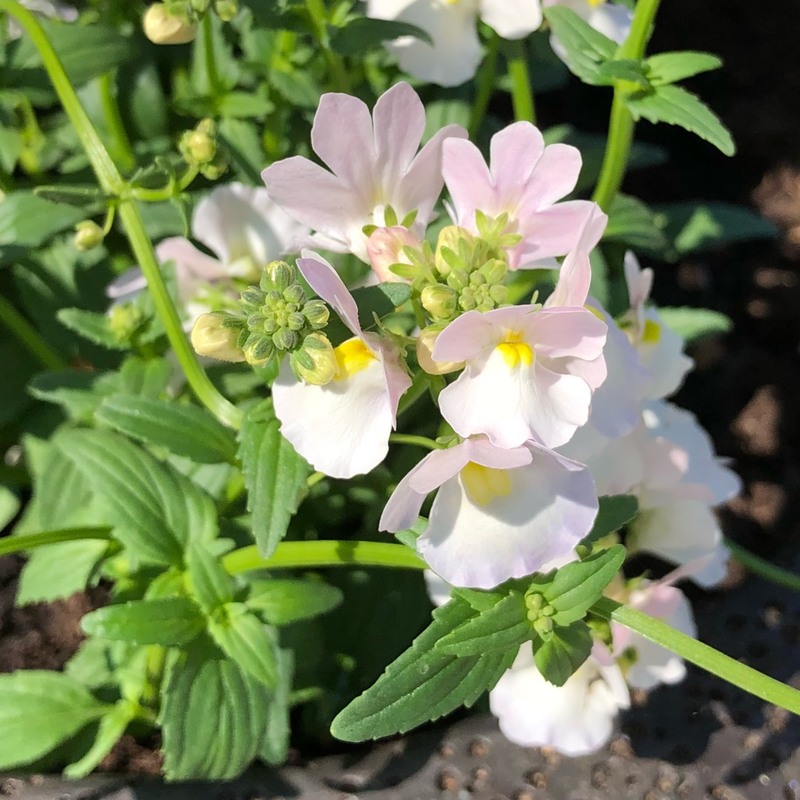 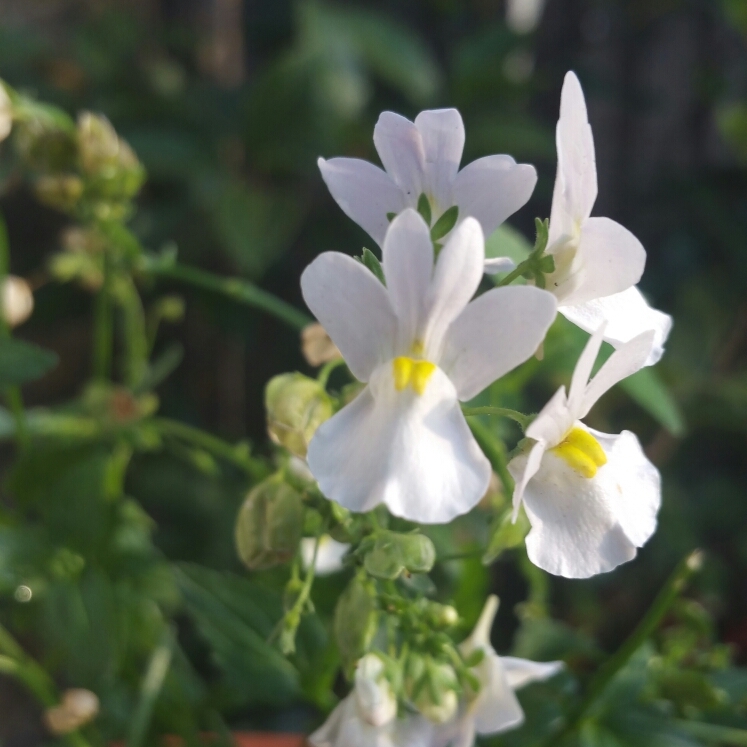 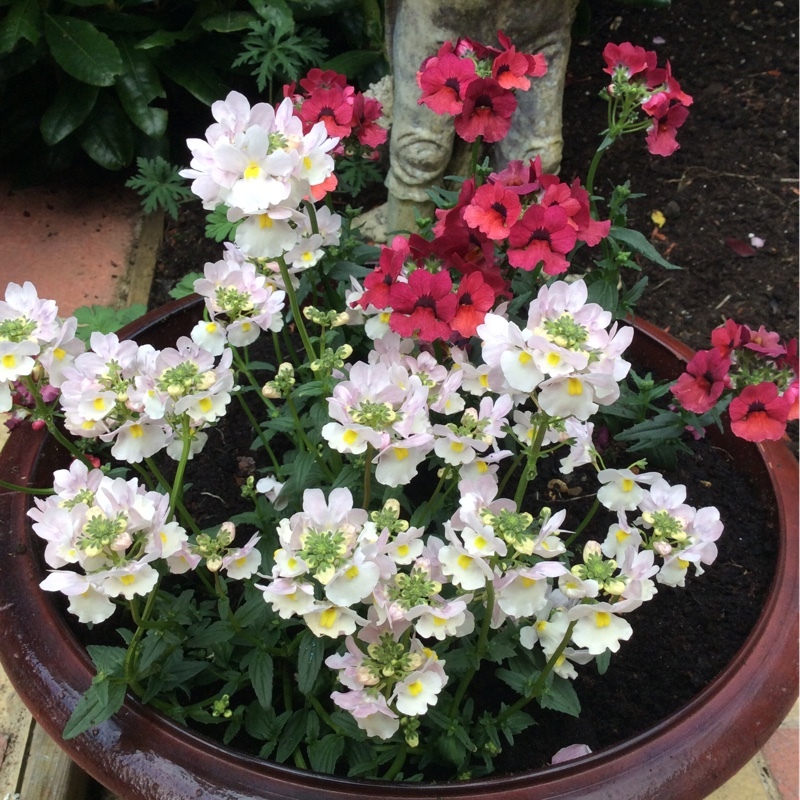 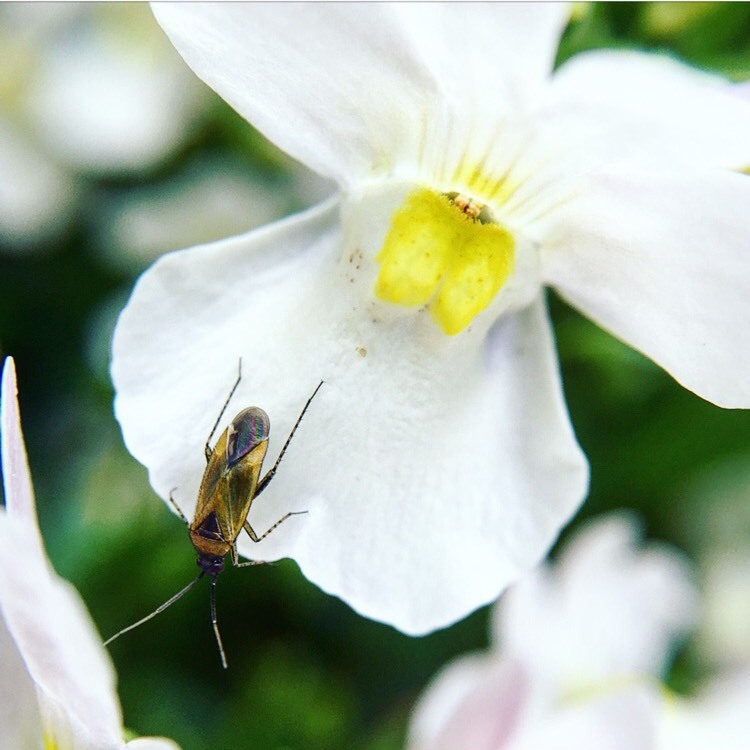 Nemesia dies back in Winter and returns in Spring, although it needs protection if the temperature drops below freezing..'Wisley Vanilla' is a tender perennial often grown as an annual, with vanilla-scented white and pale pink flowers with a yellow eye. 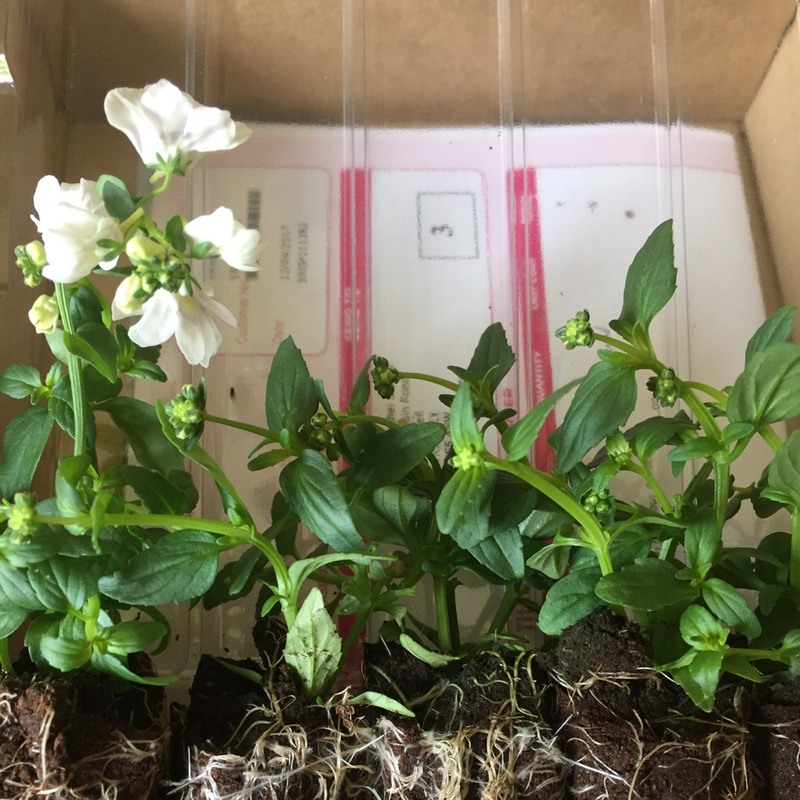 Start seeds indoors 8-10 weeks before last frost date. 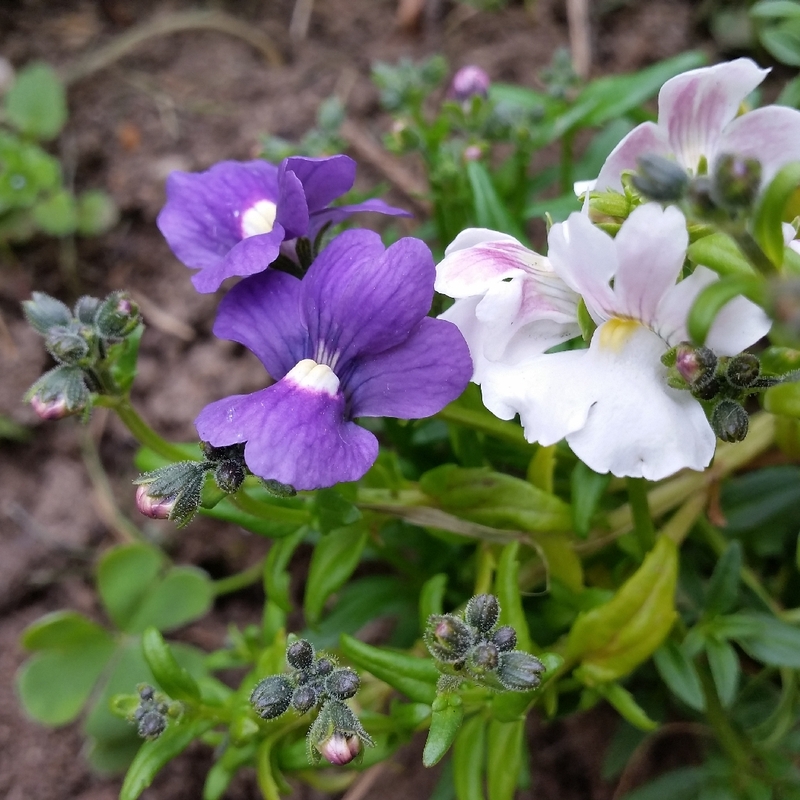 If sowing indoors, sow from early to late spring in fresh seed sowing compost. 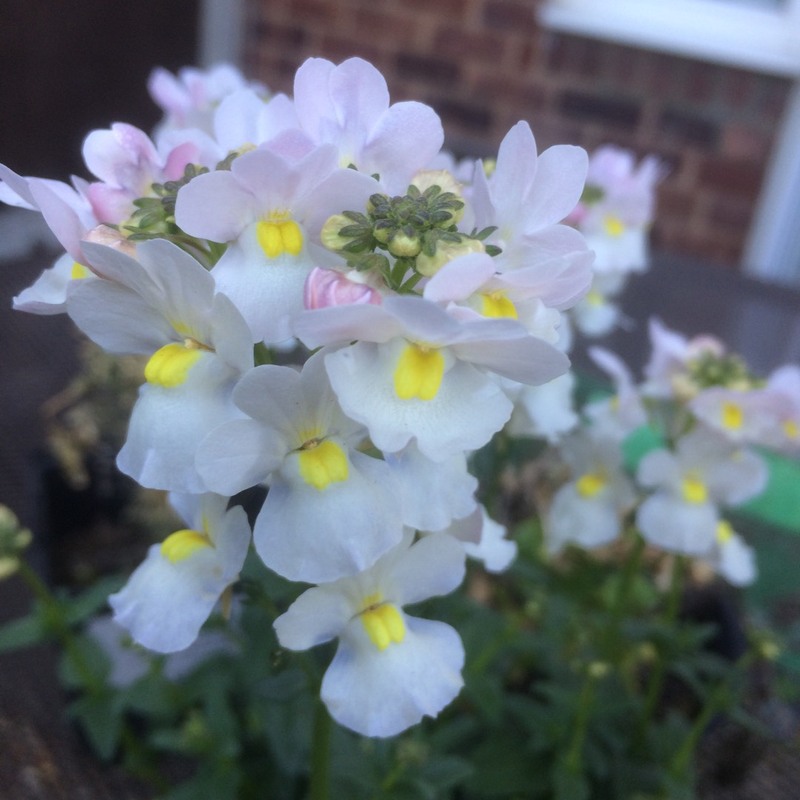 Temperatures above 60F (15C) depress germination, as do fluctuating temperatures, so use a thermostatically controlled propagator on a windowsill or in a greenhouse out of the sun.